Would you like to add some chalk? Big sized chalk bag from Charko. 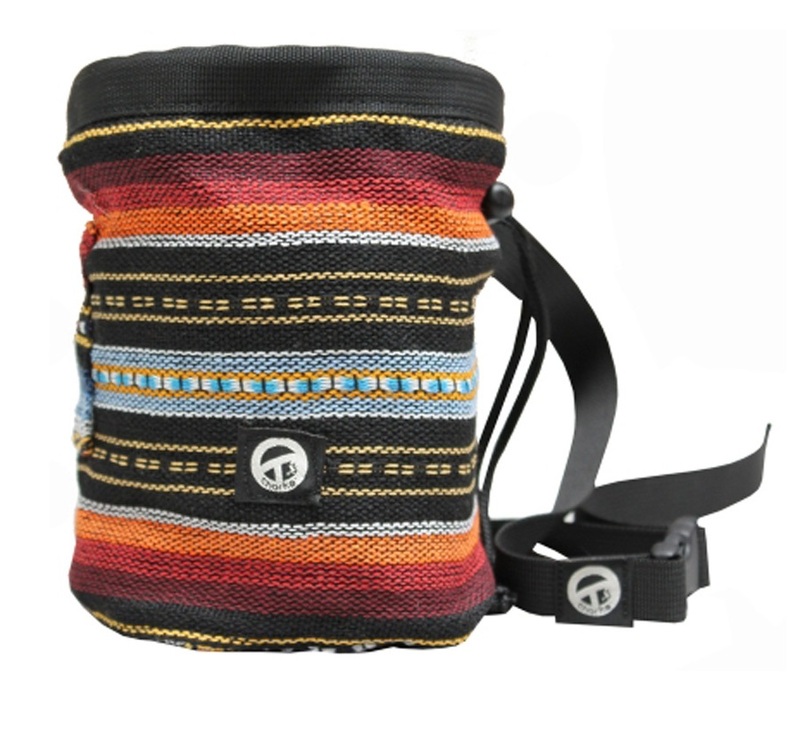 Perfect for climbers with big hands the Cicely chalk bag has a super striking original design. It comes with a slot for a brush and a belt included. Please note that because this item is handmade from a large roll of material the patterns may not always align exactly as pictured but will always follow a similar colour scheme. Charko strive to design and produce high quality climbing clothing and accessories that are manufactured locally (within Spain) in a sustainable and ecologically sound manner. Organic cotton is used throughout the range and all materials used are sourced within the EU if not Spain itself. 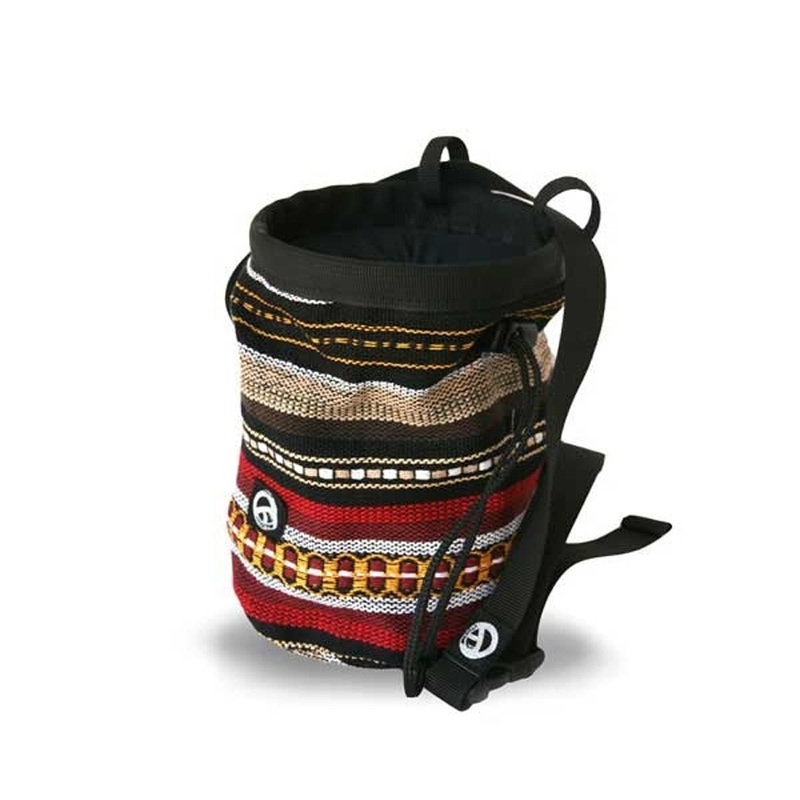 Charko hold climbing, art and environmental awareness close to their hearts and that is certainly visible through their high quality chalk bags. Please Note: The colours and patterns on this product may vary, as they are cut from a large piece of patterned fabric during manufacturing. Therefore, products may not match pictures exactly. Draw-string Closure - stops the chalk spilling out into your bag!